Its been a bone rattling, wide-eyed, tummy rumbling, exhausting few months – and I say this with complete satisfaction; wouldn’t have it any other way! Writing for Lonely Planet Guide books has been challenging, intensive but completely worth it. Apart from travelling to new destinations, being inducted in a private Theyyam performance at a village in Kerala, trekking alone in Coorg and Chikmagalur and spotting a few leopards along the way, its some people that stuck around in my head. Folks who don’t need an earth day to declare their love for the planet or fellow human beings. They go about their daily lives without any magnanimous gestures; except that what they do is making a world of a difference to the places they stay in. Thought it would make sense to make a special mention for a couple and steer our thoughts to how we can travel better; make small steps towards lessening wastage of water, use of plastic and garbage disposal. 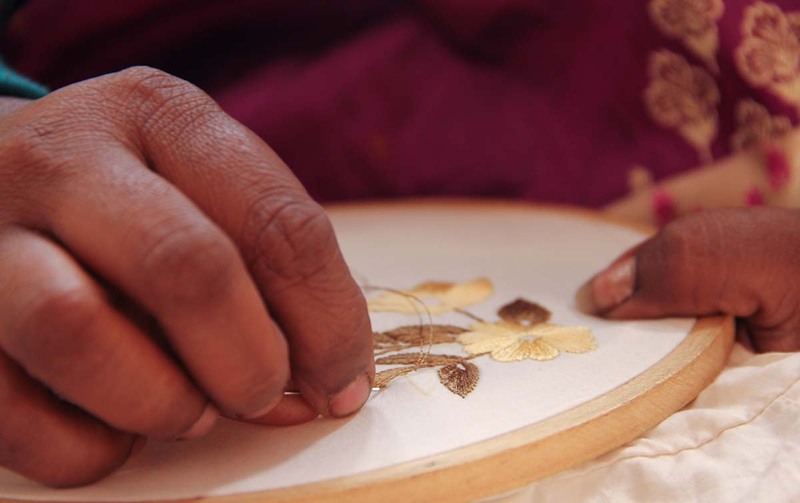 Pamela Bennyalves’s decade old initiative, Transcultural Mission has been producing something more than just spectacular hand-embroidered products – better livelihood, confidence and a sense of purpose are bi-products of a small workshop in Upper Coonoor. Mothers of slum children spend afternoons here embellishing bed sheets, pillow covers, towels and more with hand-embroidered motifs. A sizable percentage of the proceeds from each product sold goes back to the person who has worked on it. You can reach the project on 9626343774.